Prosweets is the only trade fair of its kind worldwide! 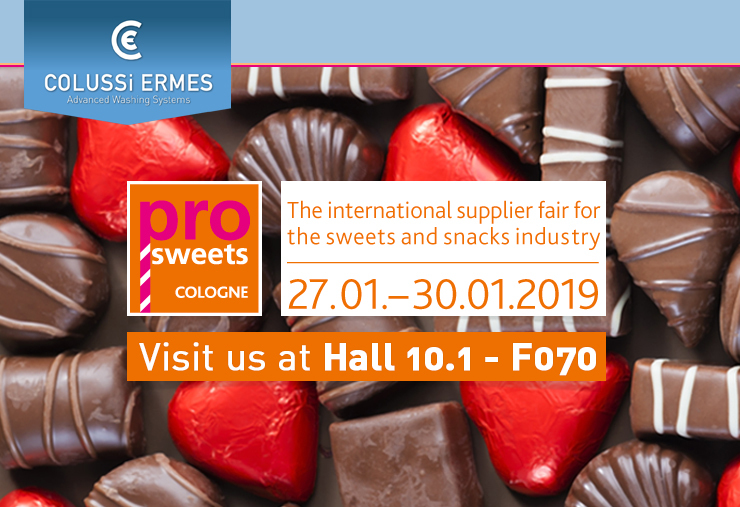 ProSweets Cologne offers the complete range of supplies for the sweets and snacks industry: from innovative ingredients, to pioneering packing solutions, through to optimised production technologies. The Colussi Ermes’ project is called “VISION”, a company philosophy that pushes us to achieve always more: don’t miss the chance to visit us, It will be an opportunity to meet and get to know our values and our products to which we dedicate passion and talent in order to provide our Clients with excellent performing washing systems.